RDNS (Royal District Nursing Service) New Zealand is a leading provider of home-based healthcare solutions. We are your local home help specialists. We offer a range of home nursing and home support services to people of all ages and cultures in the comfort and security of their own homes. 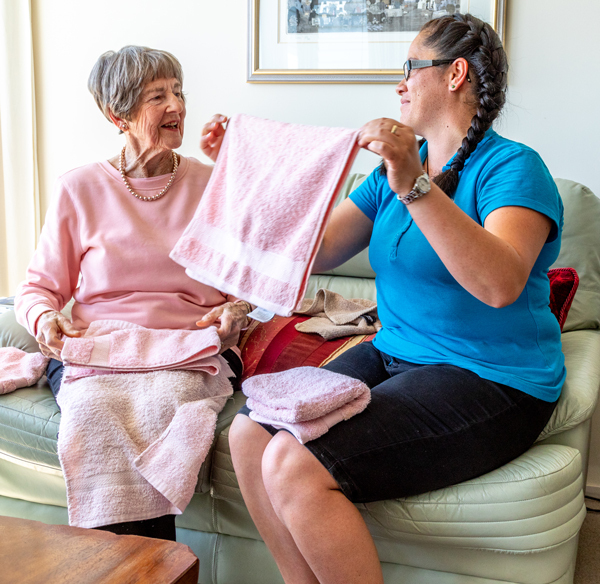 Whether you need complex nursing care at home, support while recovering from an injury or just a bit of help with housework and grocery shopping, RDNS New Zealand is here to support you. We are a not-for-profit organisation and we are proud to be making a difference to the lives of the many people who need our services. Our not-for-profit status means that all donations and payments we receive go straight towards helping us continue to service people and communities around New Zealand. RDNS New Zealand services clients throughout the Southland, Otago and Auckland Districts. Our offices are located in Invercargill, Alexandra, Dunedin and Auckland. The work we do means that our nurses and carers are always on the road, so keep an eye out for RDNS vehicles that might be around and about in your local community. RDNS New Zealand currently has contracts with the Auckland District Health Board (ADHB), Southern District Health Board (SDHB), Ministry of Health (MOH) and the Accident Compensation Corporation (ACC). Services are delivered by our team of over 300 dedicated community support workers. We also provide clinical care management and coordination by registered nurses and occupational therapists. RDNS New Zealand provides services around the clock, so you have access to our home nursing and support services 24 hours a day, 7 days a week. We are happy to schedule services to work in with your daily, weekly or monthly routine. RDNS New Zealand believes that one of the best places to get well and remain independent is in the comfort and privacy of your own home. We work in our clients’ homes and local communities. We are guided by our Principles of Care, including trust, respect and partnership. As a client of RDNS New Zealand, you’ll experience the highest level of care and genuine support delivered right to your doorstep with compassion, kindness and respect. Do you need some help at home or do you know someone who does?